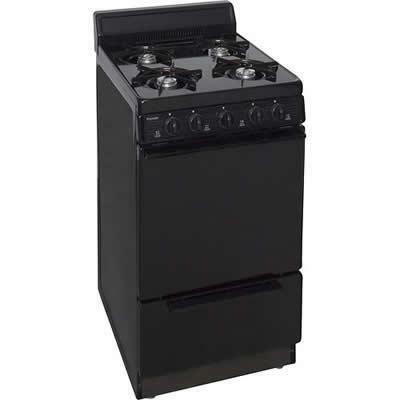 This Premier freestanding gas range features a 2.4 cu. ft. oven capacity and 2 adjustable racks for customizable interior space. 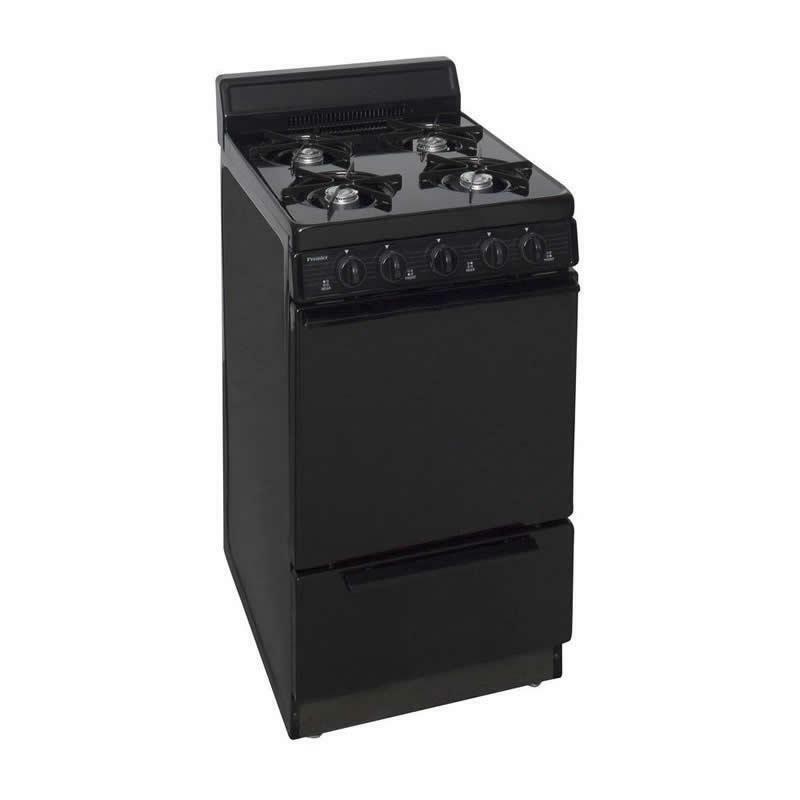 Four 9,100 BTU burners provide plenty of heat for efficient cooking. It has a Battery-Generated Spark Ignition, which means No A/C Power is required to operate this range. Additional Information Electronic ignition; 2.4 cu. ft. oven capacity; 4 cooktop elements; Sabbath mode; Broiler drawer.